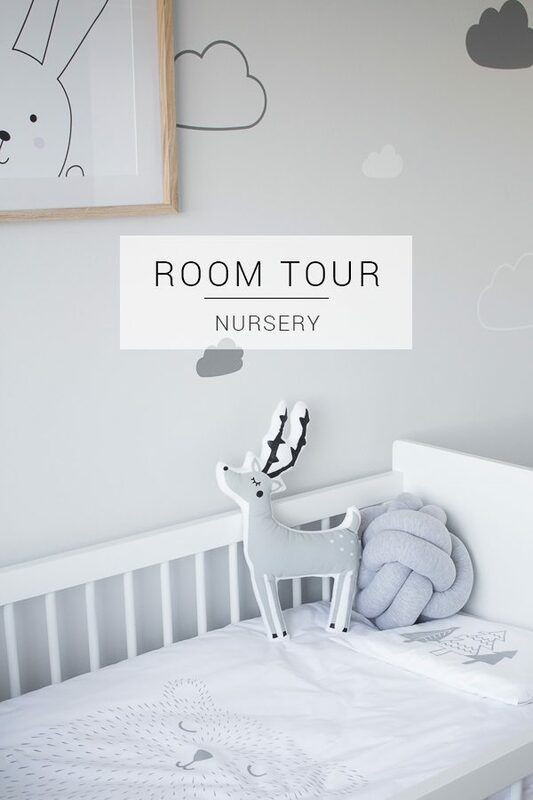 I had so much fun putting together our nursery, so I’m excited to finally give you a little nursery room tour. One of the things that I knew I wanted to do was to support local brands. There are so many really great products being produced around SA at the moment that it just makes perfect sense. I loved working with Hanja from Onyx & Fair on the design of the room. 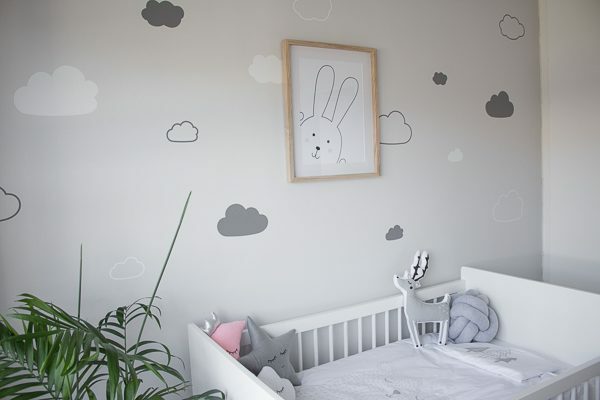 Being a creative myself, I definitely had some ideas of how I wanted the nursery to look. 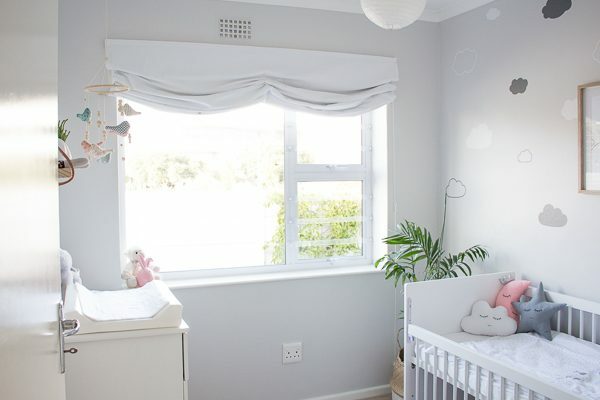 What was great was that throughout the decorating process, it always felt like it was still our nursery and Hanja was guiding us, never trying to make it her own. The actual room is not very big and neither was our budget, but she worked brilliantly within these parameters. There are obviously lots of DIYs in the room too which I will be sharing over the next few weeks. It’s amazing how a theme can just come together. Starting off with a good ol’ Pinterest board, you can quickly start to see the type of things you’re drawn to. 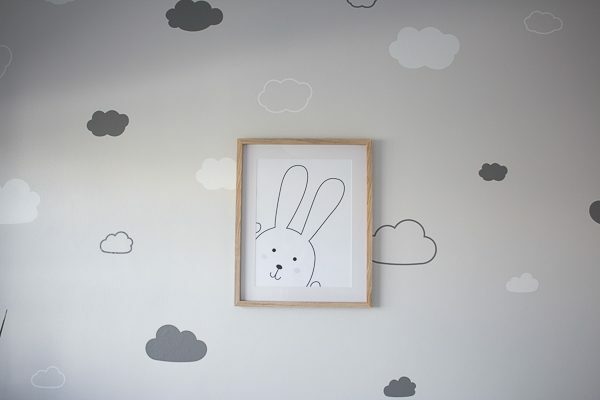 From there the clouds and simple cute animals all just worked together. Apart from moving into room styling, Onyx & Fair also has an amazing range of toys, cushions and decor, including the lovely knot cushion seen below. 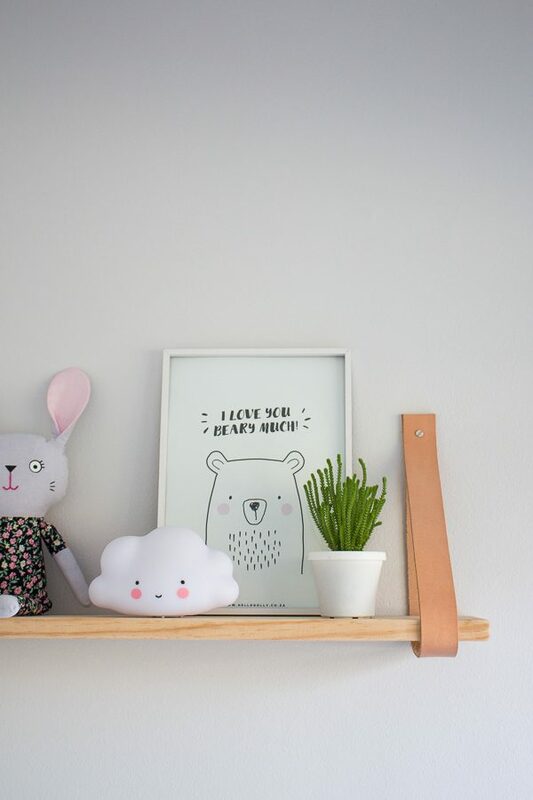 The cute Mr Bear linen set is from Squiggle and Squeak. 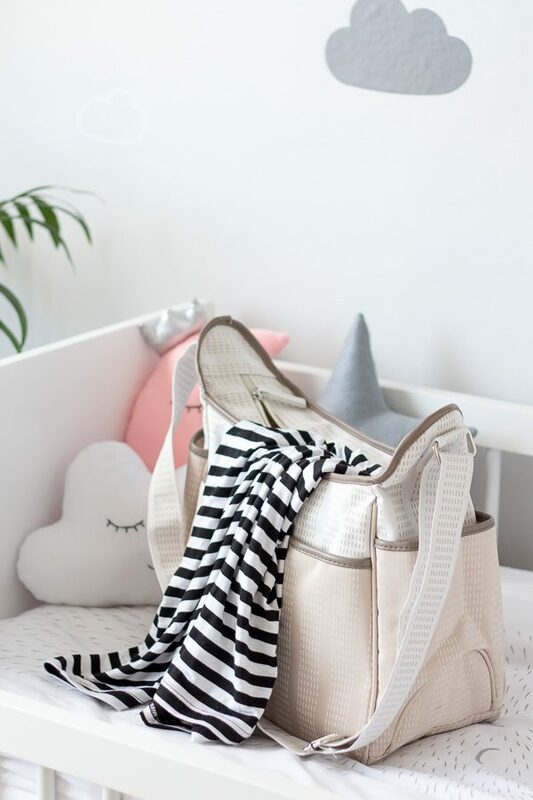 With a new range launching soon too, you’re sure to find something for your little girl or boy. Did I mention that it comes packaged in its own custom screen printed bear bag? Well now I did. Along with duvet sets you’ll also get gorgeous play mats, plushies and more. One of the easiest DIY’s that we did was this leather shelf. 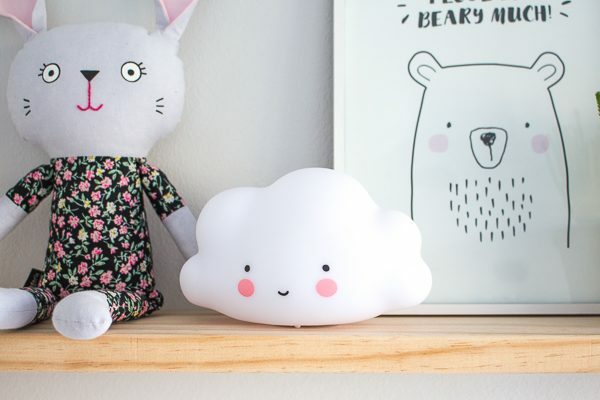 It’s the perfect home for some of baby’s gifts, as well as the sweetest little cloud night light from Maddon & Cole. It’s a lovely soft light; just enough to see your way around and feed in the night, without feeling like it’s waking you up. I’ve even fallen asleep with it on a few times and the convenient timer setting makes sure it turns off on its own. We were gifted this bear print by some of our absolute favourite people and it fits in so perfectly. They obviously know my taste well! You can find this print, as well as loads of other cute designs as prints, totes, cushions and more on Hello Dolly. 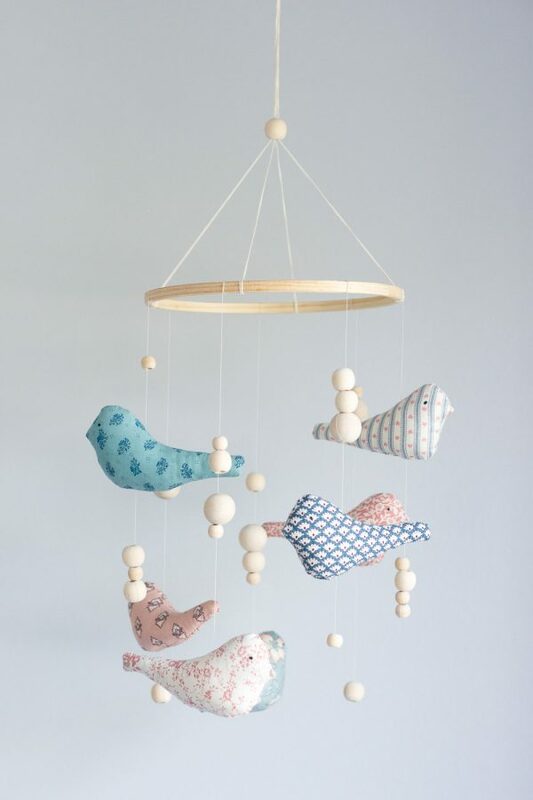 Bunny print and bird mobile – DIYs. Free print download coming soon, so stay tuned! On Hanja’s great suggestion, I DIY’d some extra stickers to be a high contrast pattern just above baby’s changing mat. 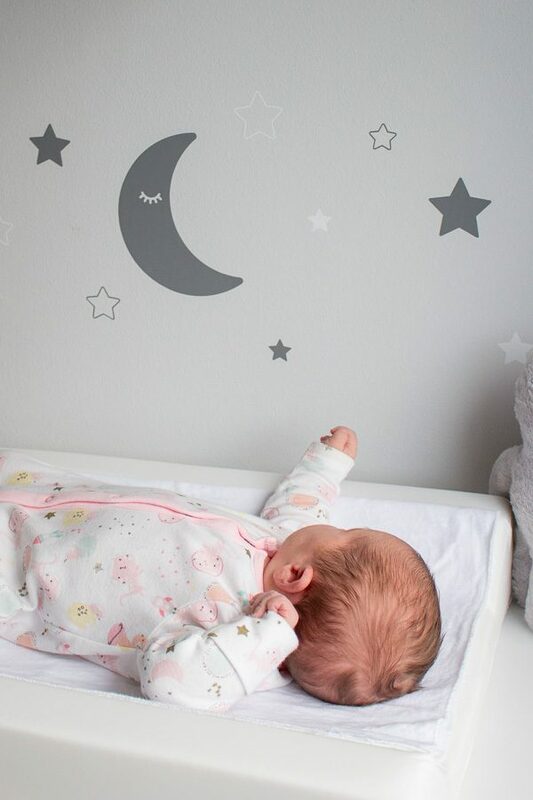 As newborns, babies prefer to look at high contrast geometric shapes as they are easy for their eyes to focus on, reportedly allowing their minds to rest. Her changing mat is honestly one of the places where she is the most relaxed. And her Snuggle bunny from Lily ‘n Jack is close by too. 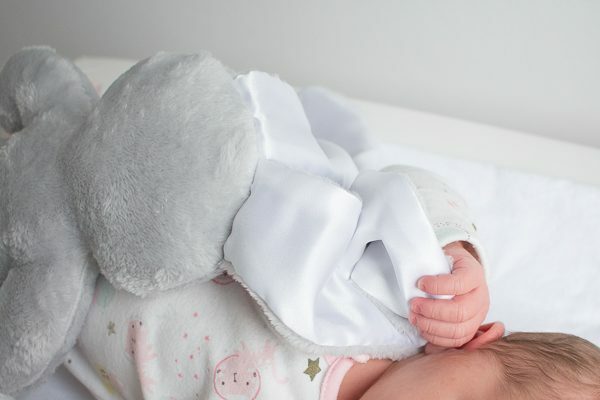 The textures of the silky ears and fleece body make the perfect comforter for sweet little hands. 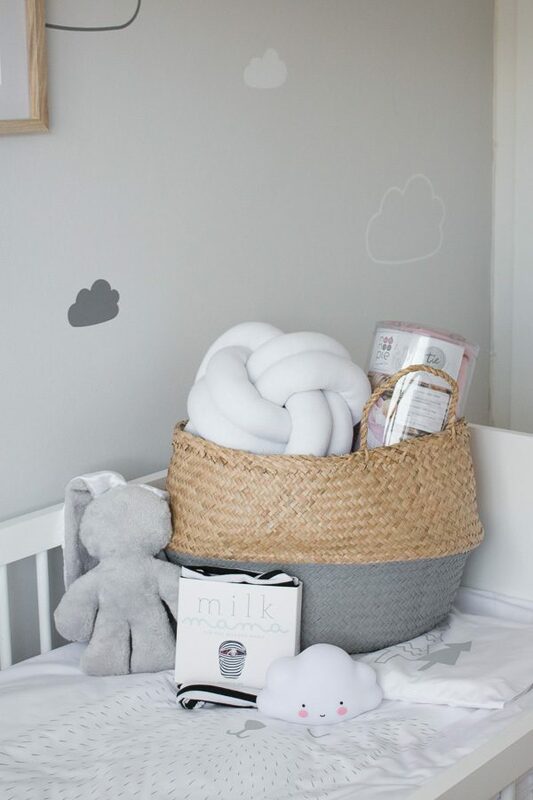 How adorable is this belly basket from Fable? The natural basket (which looks great with a few tassles) or the dipped baskets are so versatile. 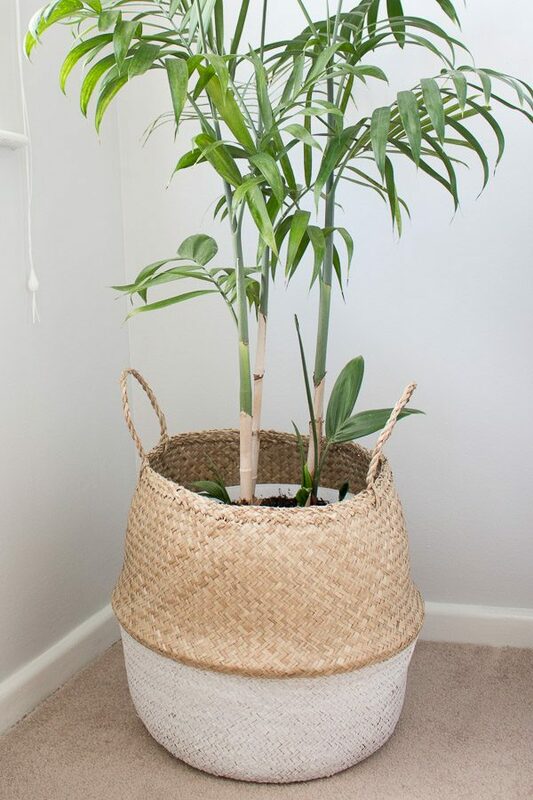 I’ve used them here to store a few blankets and toys, as well as to make the palm look pretty. And while these last two items are not strictly part of the nursery, they deserve a good mention. Breastfeeding and baby wearing are both pretty important to me and I hardly ever leave the house without something to assist with both of these. Breastfeeding for the obvious reasons and baby wearing because I enjoy my work and need my hands free 🙂 Also. she sleeps SO well when being carried! Feeding with other people around can be daunting, but if you just do it from the start then that’s what people will come to expect from you. #normalisebreastfeeding! What is also a huge help is a nifty feeding cover, like this one from Milk Mama. Apart from being a soft feeding cover, it also doubles as a comfy infinity scarf, car seat cover and a trolley handle cover. 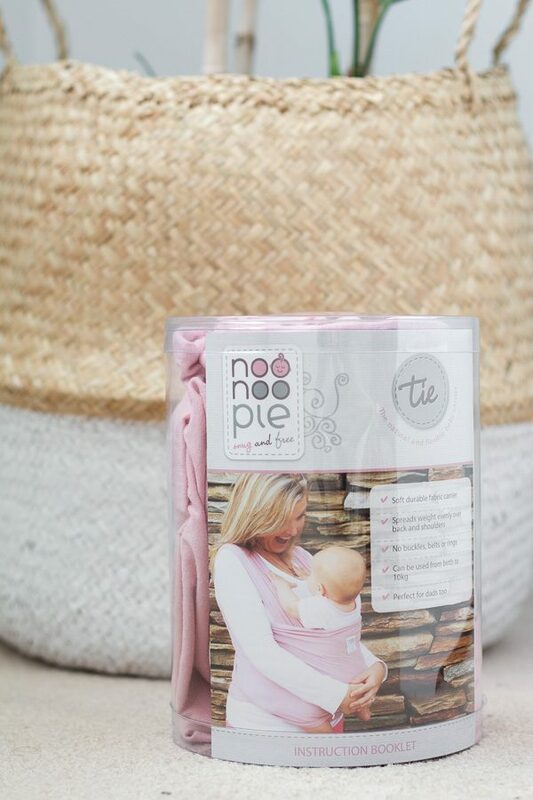 The Noonoo Pie tie is also so soft and comfy. It’s such a pleasure having the cutest little baby on my chest keeping me warm in this cold Cape town weather. The hugest THANK YOU to the brands that trusted me with their gorgeous products and a special thank you to Hanja for your time and mom wisdom too! It has been so great to work with you all!. Every single brand involved has a good range of products that is definitely worth checking out and giving them a follow. Head over to Facebook and like and comment on this post. Why not tag some friends in your comment? For extra entries, follow the lovely brands involved on Instagram. An extra entry will be given for each brand followed. All Instagram accounts listed above or in the Instagram post below. The winner will be chosen at random and will be notified via the email address used to enter. The winner must respond within 48 hours to claim their prize, otherwise a new winner will be selected. Some prize items include colour options and will be sent directly from the supplier. Pure Sweet Joy is not responsible for the delivery of these items. All competition entries, rules and processes remain the discretion of Pure Sweet Joy and can be adjusted at any time. By entering the competition you agree to have your email address given to the brands involved in this collaboration. Facebook and Instagram are in no way involved with the administration of this giveaway. « On your first Father’s Day // Baby is here! Holding thumbs.. We entered our son.. We would be honoured to win this amazing prize..
Dear Pure Sweet Joy, your blog is so inspiring & pregnancy for the first time can be so overwhelming and one doesn’t know where to start. 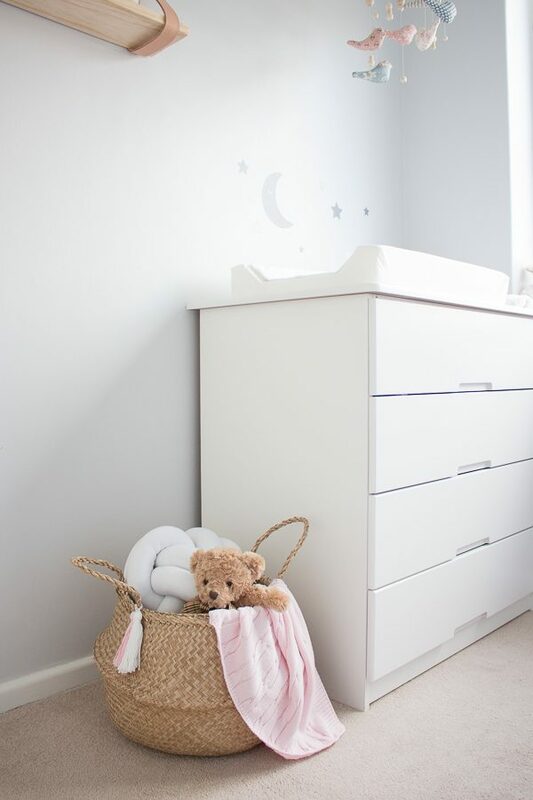 This nursery has made me so excited about gathering bits and bobs that go so well together and stylishly too! Thank you for the inspiration & im praying hard that I can win! Have never won anything in my entire life so I hope our little miracle can bring about another one! 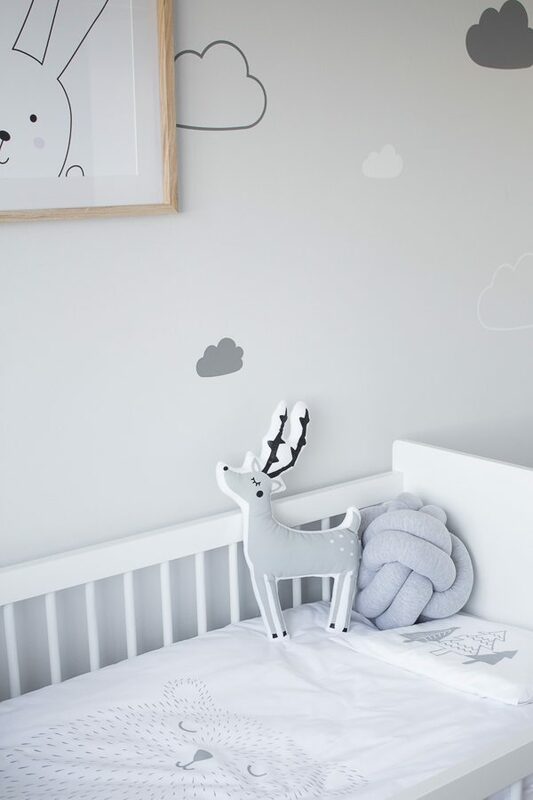 Such a beautiful nursery and what a wonderful prize! Entered via website, Instagram & Facebook 🙂 Wining would be a great help to starting our little boys nursery! 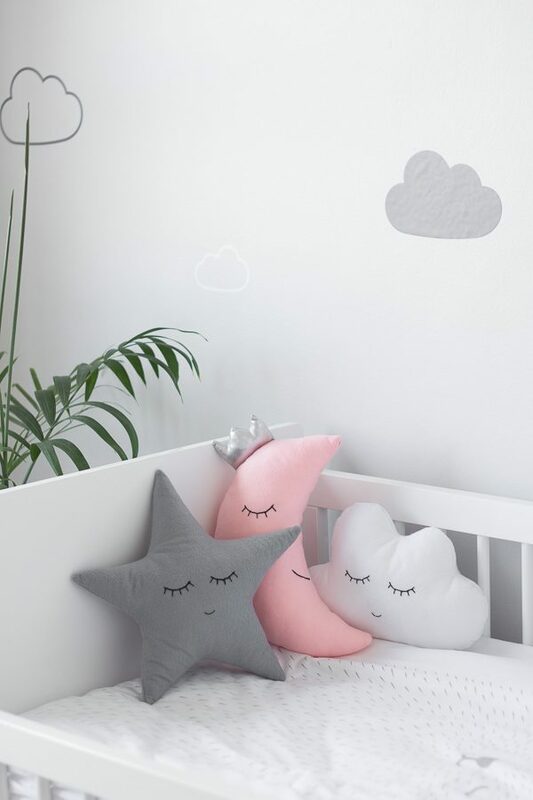 Also helps that every items matching perfectly with my ideal theme for the nursery, including the Maddon & Cole cloud nightlight which is at the top of my wishlist! 🙂 Holding thumbs! Wow so super excited. Would love to win for babyno.2 we didnt get to make a nursery for babyno.1 as we didnt have the means or room. Fx for the win !!! 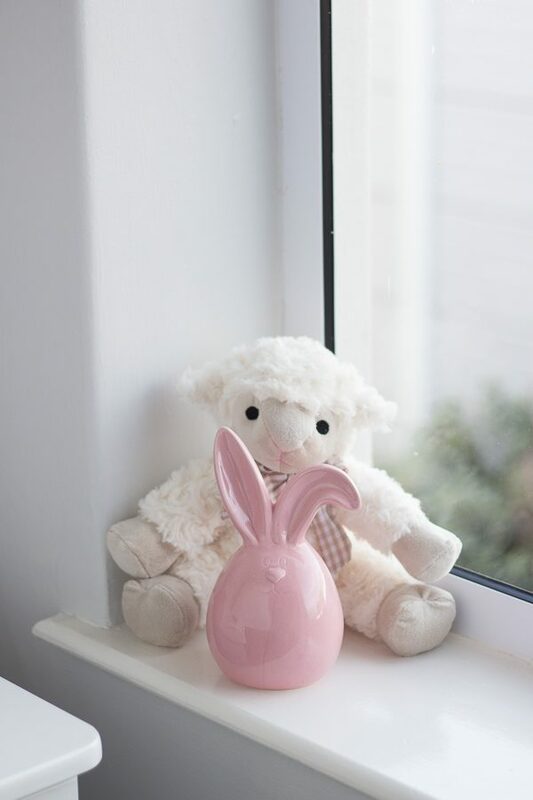 Holding fingers – haven’t finished off my babas nursery yest (second child syndrome) so would Love to win this! This is absolutely beautiful, the clean colors, simplicity and elegance makes this so much more inviting.